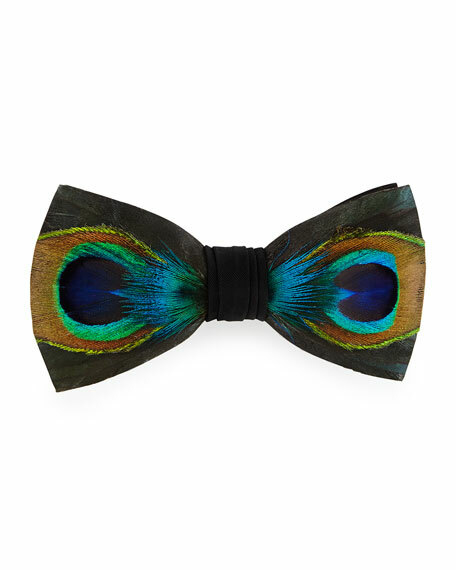 Brackish Bowties "Hugo" bow tie with natural peacock feathers (India). Black with eye feathers showing green, deep violet, and gold hues. Slight color variation because of handpicked feathers; design is same. 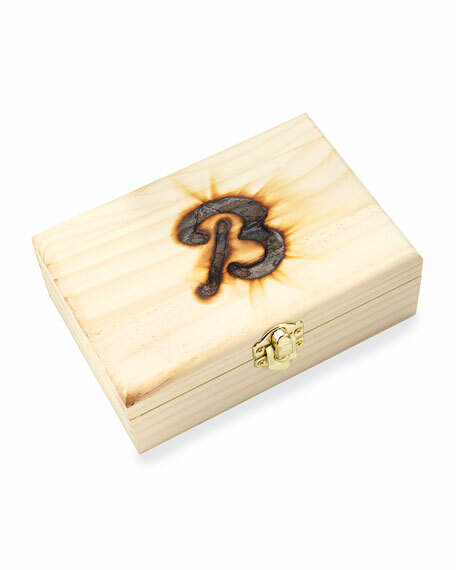 Packed with care instructions and wooden box in burlap. 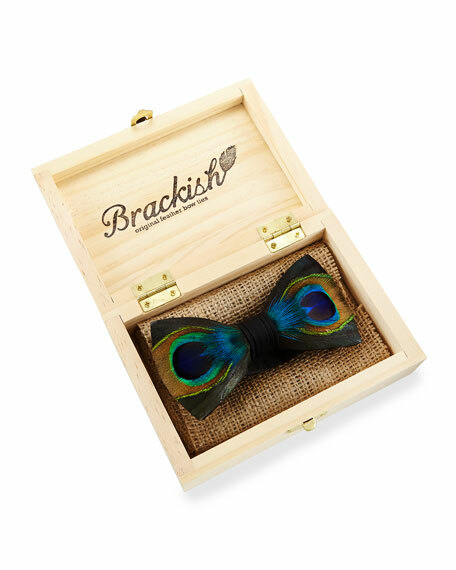 Handcrafted in South Carolina with hand-picked feathers, each Brackish Bowtie is one-of-kindjust like the dapper gentleman who wears it. Founder Ben Ross conceptualized the brand after recognizing a need for traditional Southern men's accessories that were sustainable and artistic. By modernizing the bowtie, Ross has boosted the reputation of this often-overlooked piece and given interesting men more options for formal dressing. For in-store inquiries, use sku #1518819.